It’s time for the latest edition of “Openings, Closings and Rumors,” to help fill you in on the most recent business news circulating around the neighborhood! As usual, feel free to let us know in the comments if you have any additional insights. We received intel that Calexico—the Mexican/California hybrid eatery that started as a street cart and has since expanded throughout NYC, Detroit and Bahrain—may be taking over the former Salt & Bone building (or what I like to call the mini mini Flatiron). Although it isn’t official yet, a spokesperson said: “We have been looking at the area and may be opening there in the near future but nothing is final.” We’ll be sure to keep you updated as we hear more! 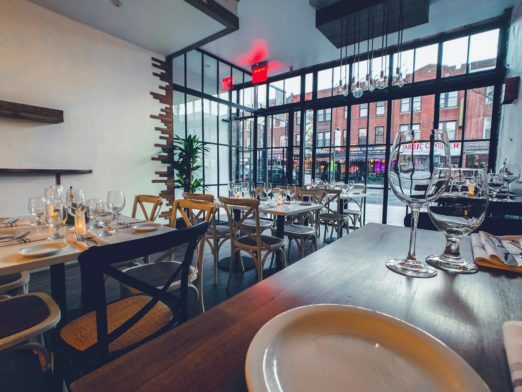 The menu on their website offers a variety of meat and cheese boards and delicious-sounding apps like “Jamon Serrano Croquettes” and “Grilled Octopus, Romesco and Confit Potatoes.” Entrees include whole grilled Branzino, grilled lamp chops with couscous, and squid ink linguini with seafood. Let us know how it tastes if you check it out! 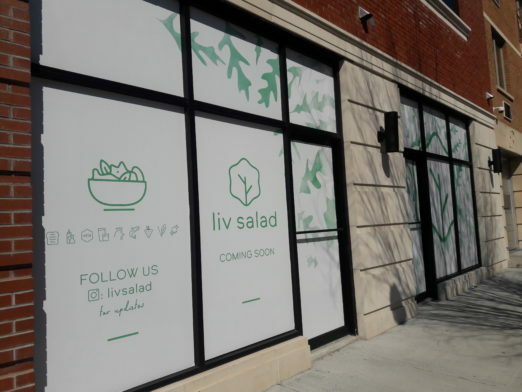 From the creators of Chip NYC comes a new salad and bowls spot in the old Winegasm space on 37th St. According to their Instagram, there will be a soft opening this Friday 3/22 from 11 a.m. to 8 p.m., and will also be open Saturday 3/23 during the same time. Expect simple salad and grain bowls with plenty of vegan options. So far they’ve shared their “Fire Flower Bowl,” which contains romaine, quinoa, spicy cauliflower, cucumbers, tomatoes, red onion, chickpeas, fresh lemon juice and chimichurri sauce. 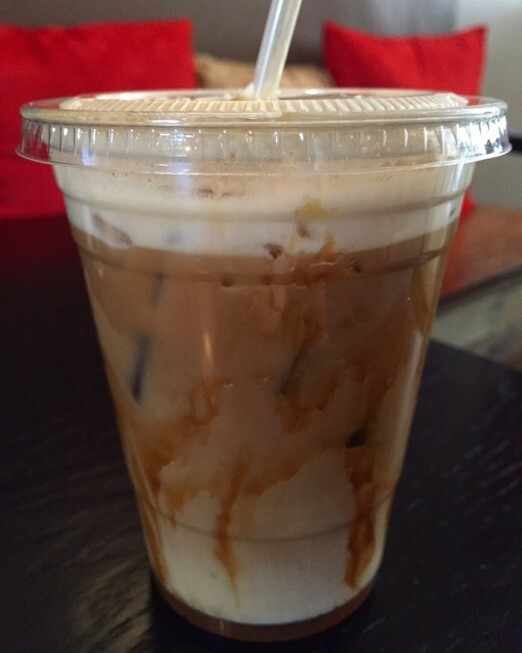 Broadway is an avenue with less coffee shop options, so the new addition of Sweet Habit is welcome to any work-from-homers or caffeine addicts. 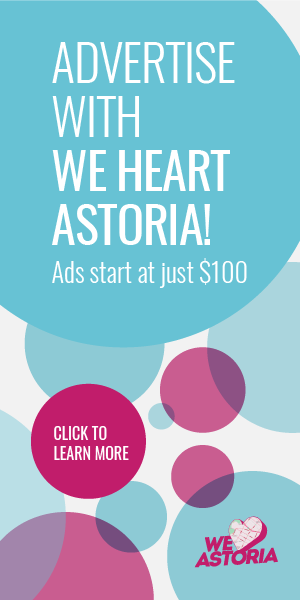 According to the Astoria Post, it’s owned by two Greek immigrants who have lived in Astoria for 10 years. 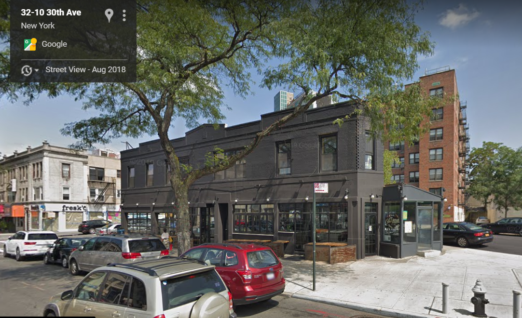 They offer a selection of coffee drinks with beans roasted locally in Brooklyn, including the preferred Greek “freddo espresso.” They also hope to have outdoor seating in the warmer months. The Victoria’s Secret location on Steinway is now permanently closed, so if you’re looking for undergarments you’ll have to visit a different location. According to Google maps, the nearest ones are in Manhattan on Lexington between 58th and 59th St., or in Elmhurst. Thanks to Queens Gazette for the scoop. We spied this advertisement while walking down 30th Ave…and are getting excited. After all, Astoria is a very social neighborhood! 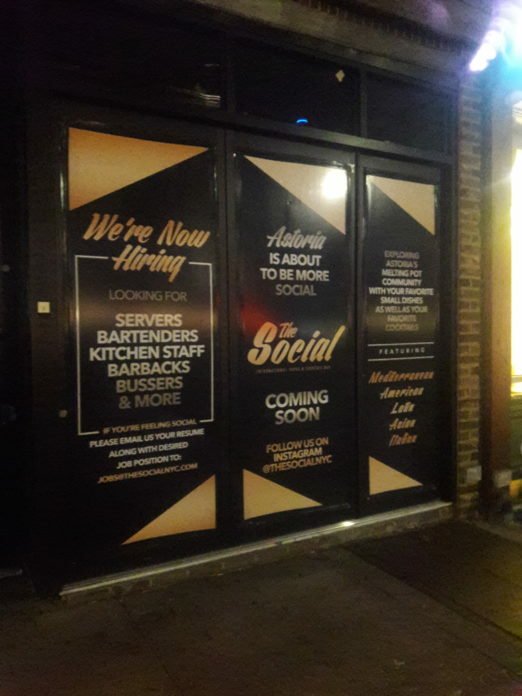 So far all we know is that “The Social” is going to offer tapas and cocktails, centering around Astoria’s “melting pot community” with small plates from Mediterranean, American, Latin, Asian and Italian cultures. They are also currently hiring servers, bartenders, bussers and more, so contact jobs@thesocialnyc.com with your resume if interested. Stay tuned (and follow their Insta) for more. Have you seen any other new businesses pop up on your street? Chatted with any insiders about what’s up and coming—or up and closing? Let us know in the comments! Chips now opened in Ditmars !! What the heck is going on with Bare Bone Weekend? Thanks, we just saw that too – stay tuned for an update! Would love a Spanish tapas place! Any updates on the new restaurant/bar Rivercrest on Ditmars next to Taverna Kyclades? Looks like a great space and long overdue! We reached out and they said the project is taking a lot lot longer than they expected. It’s an old building and a lot of work has gone into RiverCrest to bring it up to code with the NYC DOB. They will let us know when an opening date is secured (and we will pass on to you)! Food Emporium told me May – I passed by Boteko yesterday and it was open! It looks like the Petland Discount is closing on Steinway as well. They’re selling off everything now. I think it’s where the Dog House was, between 37th and 38th on the south side. With all these larger stores on Steinway closing maybe a Trader Joe’s could move in! I would love if Steinway would evolve into a shopping strip of stores and eateries that are actually relevant and useful. Would kill for a trader joes in astoria!!! We need a $ a slice pizza place on B’way, between 31st St & 21st St.
A Chinatown style $ dumpling shop would also be nice. Local Kitchen on Ditmars Blvd took down their window coverings today…any eta on that launch? I saw people working in the spot and asked them about the plan. They said it is going to be a Turkish restaurant. What’s coming to broadway across from Starbucks, next to Bahari? Very curious to know what’s going here! Looks like they’re close to opening. They have bistro tables set up so it looks like some kind of cafe. 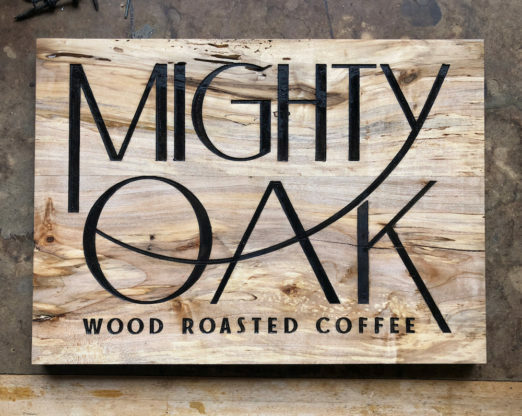 Maybe a coffee place? 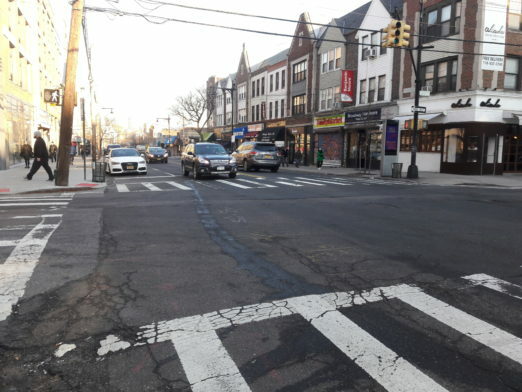 How about Dragon & Phoenix take-out moving two stores from McCann’s Pub on Ditmars!? Where on 30th is that Social place? Any new updates on the possible Pig Beach BBQ location in the old Studio Square space?? I am excited about Calexico possibly coming to the ‘hood. As for Sweet Habit, let’s hope it stays open. That store has been a revolving door the past few years. I noticed Victoria’s Secret was closed today. It is so unfortunate the number of empty stores on Steinway Street these days. I don’t mind the chain restaurants and stores. It is much less of an eyesore than some of those stores that have been empty for years, collecting debris inside. There was an article on Gothamist yesterday about landlords having to report empty stores. I am not sure if this reporting of the vacancies will help in anyway. It is really depressing. Rent probably high. Most people shop at Queens center Mall. They said it on news most of the Victoria Secret will be closing I told the cashier in Harlem too. What is going on at the strand smokehouse? Yes I’d love to know if this is actually happening?? Also do we know of plans for all the empty store fronts on Steinway? Everything seems to be closing. Is Steinway going to become blocks and blocks of overpriced high rise luxury apartment buildings like those areas in Long Island City by the Citicorp building and by Queensboro Plaza? 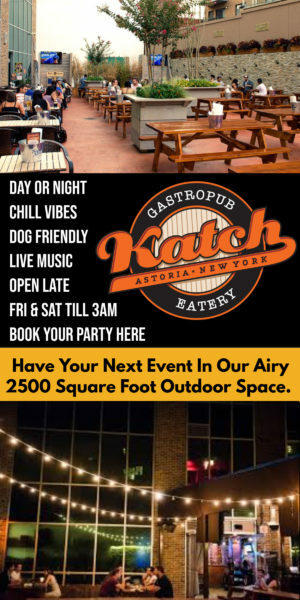 Waiting on info for the dog run opening near the Astoria blvd station. Older news articles mention a spring opening?